I just bought an SP01 and love it as I thought I would. It was a treat as I had wanted one for several years. I have a few pistols and have my carry pistols covered in every way shape and form. Do I still need a P01? I am not sure if I do. I have a G23 that is basically a similar size that I would probably carry if I wanted something that size. So it would make the P01 a range gun and I fear I would shoot the SP01 a little less. I always wanted a CZ97 amongst other full size pistols and wonder if my gun money should go toward these items instead. You may also consider the PCR for a compact. But if the 97 is one you wanted for a while, I would start with it. 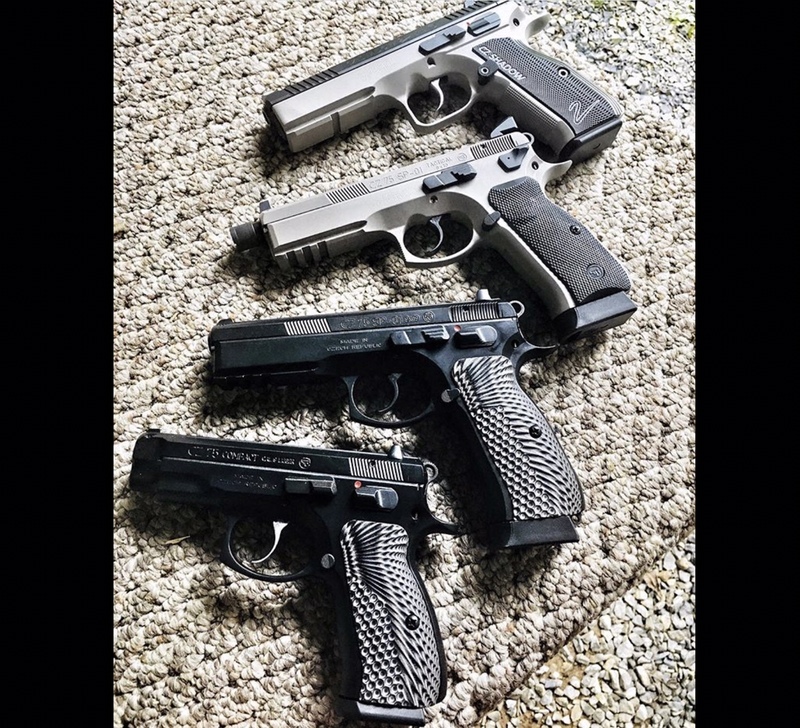 I gave my sweet shooting SP-01 to my godson for his first pistol and have two P-01’s for range and carry and my advice even though these compacts are my gun of choice, skip the P-01, buy the 97 and use that and the SP-01 for the range if you feel you have the carry gun situation covered already. I actually like shooting my all steel P01 more than my SP01. If your budget is limited, then don’t get it. If you don’t plan to carry, then why bother. I do like the size. I almost bought a 2075 RAMI last gun show, though. I have an SP-01 that I have competed with. I acquired a CZ 75 Tactical to suppress. I have a Shadow 2 to compete with for USPSA. I acquired a 75 Compact, just because. Prioritize on carry options, that may protect your life or loved ones. Then buy fun stuff for the range or TSHTF prep (AK or AR for example). This is the time to stock up on ammo or components while prices are down. Just something to consider.....by consolidating your ammo to 9mm, you can buy in bulk and shoot more often. The price of good quality new 9mm brass (like S&B) is approaching 15 cents a round. The money you save will pay for that P-01. Correct answer. P01 is darned nice but sp01 is a better range gun. G23 Is perfectly good carry choice. Cz97 is the logical next add. P01 goes on the "someday" list. I too would like a 97 next. Torn between a BD or trying to do a SAO. Can't decide if I want to run it like my CZs and Glocks or like my 1911. I would say yes, but that’s because I’m not a G23 fan. Had one, didn’t like it/ bond with it. My P01 and PCR are the ideal carry guns IMO- the perfect compromise between size, capacity and performance. In short, you need both.